Practical and realistic, Experiencing God's Story of Life and Hope leads believers through the process of growing spiritually. Bringing his skills and expertise to bear, Scott Duvall guides readers as they look at what they believe, how they behave, and who they are becoming-three essential considerations in spiritual growth. Each brief, four-to-five page lesson begins with a close examination of Scripture and ends with personal application. In each chapter, Duvall teaches Christians a thoroughly biblical approach to spiritual maturity, allowing God to work in their lives. Experiencing Gods Story Of Life And Hope by J Scott Duvall was published by Kregel Publications in May 2013 and is our 67828th best seller. 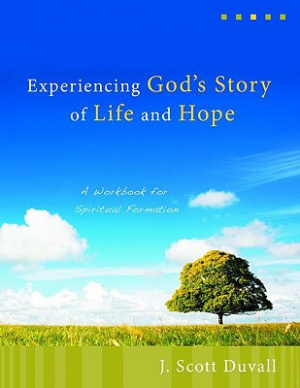 The ISBN for Experiencing Gods Story Of Life And Hope is 9780825425387. Be the first to review Experiencing Gods Story Of Life And Hope! Got a question? No problem! Just click here to ask us about Experiencing Gods Story Of Life And Hope.